Tomball’s extensive supply of sturdy trees and bush is not a challenge for Texas Ace Land Clearing to work with. We consistently successfully make way for new homes, farms, and buildings in the area using various forms of our land clearing services. Our methods ensure that the land we work with isn’t left with its health completely pulverized like other land clearing services tend to leave their lots. Our job is not simply to provide Tomball lot owners land to work with today, but to ensure your lot is workable for years after. We understand that growth is inevitable and change is a big part of that growth. In the future, you may want to expand your land or do something different with it entirely. Texas Ace provides fast and strategic land clearing that is made to support these changes. We hope we’re not bursting any bubbles here, but land clearing equipment is only a small percentage of what produces an awesome land clearing job. Various land clearing services in Tomball will attempt to convince you that their state-of-the-art equipment makes all the difference. This isn’t the case because this equipment is used on various land with various traits and qualities. Having skilled and experienced land clearing operators makes all the difference. Not only does Texas Ace Land Clearing provide top-of-the-line equipment and machinery, but our operators are skilled professionals who have been land clearing various lots for years. They know all that needs to be known about operating on Tomball terrain and they efficiently and effectively operate our land clearing machinery towards the needs of your land. And more. When you choose your designated land clearing service you should feel confident in the fact that the job will be done quickly and with careful precision. You should also feel confident in the fact that the job is done safely and with your safety considered, we remove debris and other harmful components on the land that could in any way sneakily affect the project you have set for your lot. The goal is to rid the land of what needs to be moved while preserving its vegetation to ensure that the land is workable for the various purposes you could need it for. 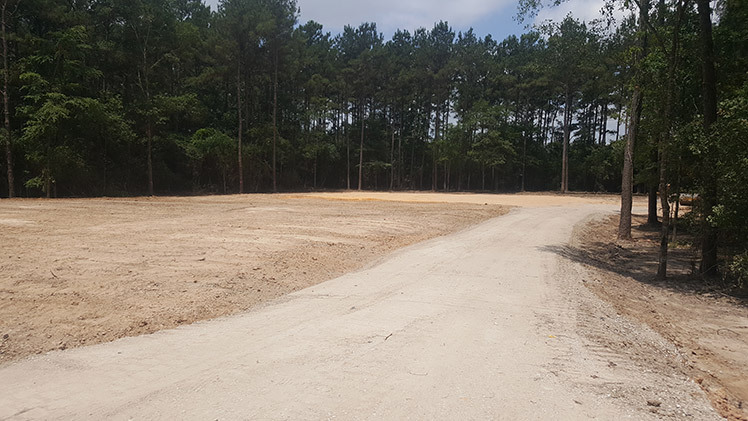 Texas Ace Land Clearing proudly works through the pine, oak, cedar, bush, weeds, and features of the like in Tomball soil. Whether you are building a new home, business, farm, or anything even remotely similar, Texas Ace Land Clearing services deliver high quality land clearing that gets you building on and using your Tomball lot quickly and with the ability to use it for various purposes for years to come.